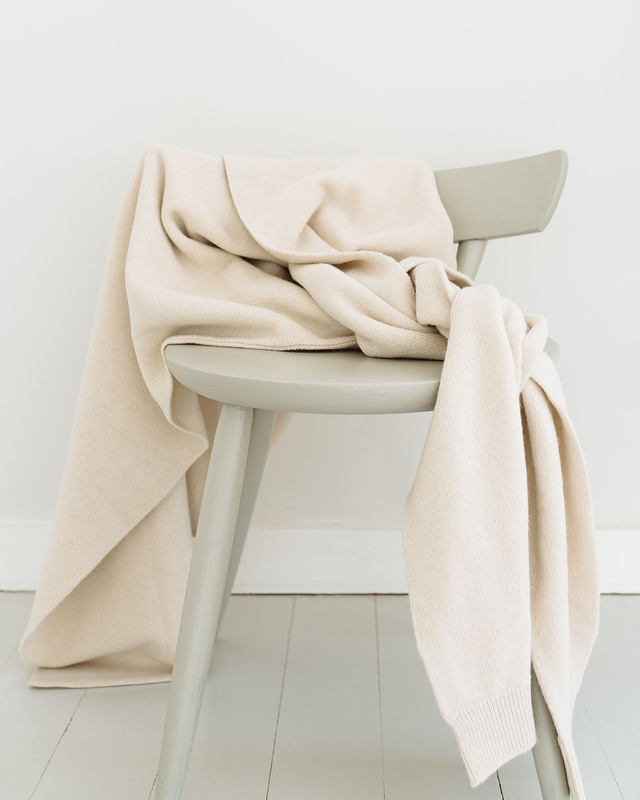 Lemaire Sweater Scarf as seen in Bernadette’s beautiful Palette journal. Photo by Andrew Stinson for palette.blog. My Lemaire scarf comes in cream. The old chair has a re-painted with a greenish grey color ‘Hardwick White’ by Farrow & Ball. Comforting and lovely, I always carry a blanket or shawl with me when I travel, and I often wear one at home, in a restaurant, or wherever extra layer of warmth is needed. Turning on the heat sure makes the air warmer indoors but it does not provide the same feeling of security than having something wrapped around you. Bought from the Fall Winter collection some seasons back, the Lemaire sweater scarf serves both as a blanket and a shawl.